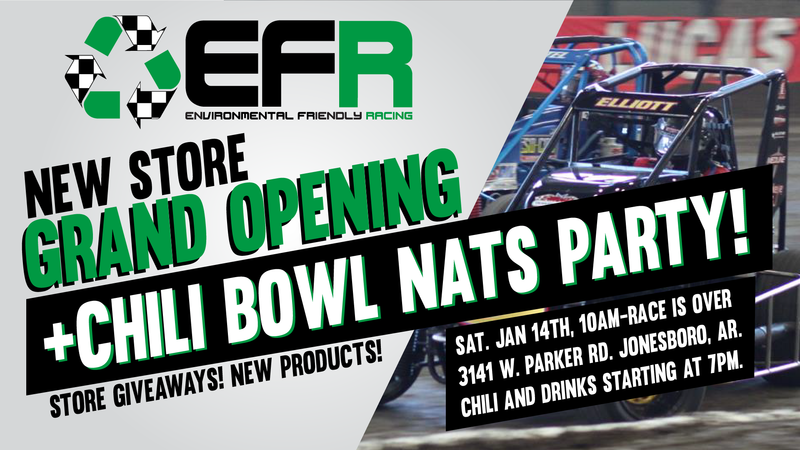 Make plans to visit the new EFR store location! See our fully stocked showroom, enter to win giveaways throughout the day, and stay late to watch the Chili Bowl Nationals! We have some surprise giveaways that you won't want to miss! Visit our Facebook page here to register for the event.